An old Chinese proverb praising the beauty and prosperity of Suzhou says, "In heaven there is paradise, on earth there are Hangzhou and Suzhou." It has long been a heaven for scholars, artists, and skilled craftsmen, and it still is today. The beautifully landscaped city of Suzhou is located in the center of the Yangtze Delta region, and is renowned for its classic gardens, traditional waterside architecture, and traditional operas. Suzhou was a prosperous ancient state capital, built in 514 BC by He Lv (/her lyoo/), the King of Wu State. It grew in favor with China&apos;s dynasties — a summer retreat of emperors, and a well-placed trade center. You may enjoy 6-day visa-free access to Suzhou if you meet the relevant qualifying criteria of the 144-hour visa-free transit policy. As the saying goes, "Gardens in the ‘Yangtze South’ area are the best in the world, and Suzhou gardens are the best among them." Suzhou&apos;s classical gardens have an international reputation. The classic gardens flourished in the mid-Ming to early-Qing dynasties (1500–1700). Most gardens are private ones built by aristocrats, scholars, and rich businessmen. 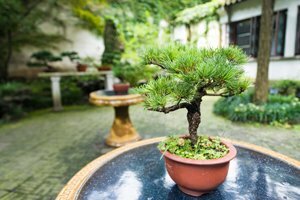 Today, more than 60 classic gardens remain in the city, nine of which have been listed as World Heritage, including the Humble Administrator&apos;s Garden, Lingering Garden, and Net Master&apos;s Garden. With the Yangtze River flowing through the city&apos;s north boundary, and the Grand Canal running down from north to south, Suzhou is rich in canals, and is called "the World&apos;s Oriental Venice". 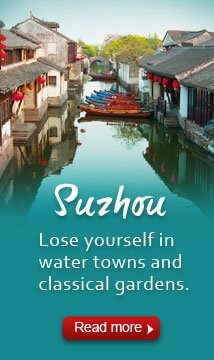 The top water towns of Suzhou are Zhouzhuang, Luzhi, Tongli, Shaxi, Qiandeng, and Jinxi. Of these Zhouzhuang is honored as the number one water town in China, but it is the most commercialized. 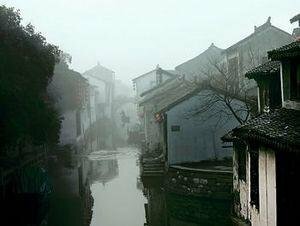 Tongli is a quiet water town and is less crowded. See the top 8 ancient towns near Shanghai. 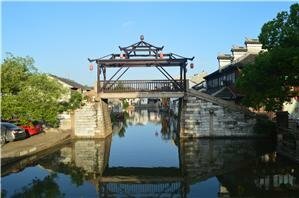 The water towns of Suzhou are crisscrossed by canals, rivers, and bridges. Old buildings and streets are built along the waterways. Many of them are still preserved well, reflecting old China. You can walk along lanes and bridges, or take a boat to appreciate ancient architecture and the beautiful canal scenery. 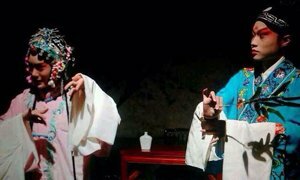 Suzhou is the hometown of Kun Opera (or Kunqu /kwnn-chyoo/), one of the oldest forms of Chinese opera. It was listed as one of the Masterpieces of Oral and Intangible Heritage of Humanity by UNESCO in 2001. It perfectly blends dramatic literature, soulful singing, and elegant dancing. The best place to watch a Kun Opera performance and learn about Kun Opera is Suzhou Opera Museum. Suzhou is located between Shanghai and Nanjing. Suzhou Railway Station is among the busiest passenger stations in China. The Shanghai–Nanjing/Beijing–Shanghai high-speed railways passes through Suzhou. There are frequent high-speed trains from Suzhou to Shanghai, Kunshan, Wuxi, Zhenjiang, and Nanjing. It only takes 25 minutes to Shanghai, less than 1½ hours to Nanjing, and 5 hours to Beijing. There are also many high-speed trains to/from other cities like Hangzhou, Chengdu, Xi&apos;an, Guangzhou, and so on. If you go to Suzhou, take the high-speed train. 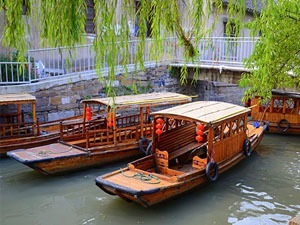 Read more about Suzhou transportation. 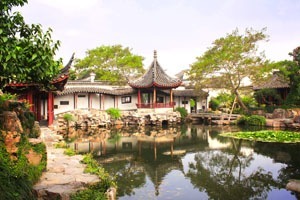 For first time travelers to Suzhou must-see attractions and historic sites are the Humble Administrator&apos;s Garden, Lingering Garden, the Grand Canal, and Zhouzhuang Water Town. The First Day: Arrive in Suzhou. Check in to your hotel. Stroll around the city to experience the local life. Have a cup of tea and some local snacks in a tea house. The Second Day: Explore the best representatives of Chinese gardens — Humble Administrator&apos;s Garden and Lingering Garden. Take a motorboat cruise on the Grand Canal. Ride a rickshaw to visit the old streets and hutongs in the old city area. The Third Day: Visit Zhouzhuang Water Town. Experience the traditional culture, appreciate the well-preserved ancient architecture, and enjoy the beautiful scenery along the waterways. The best times to visit Suzhou are March–May and September–November when the weather is pleasant. You’d better visit on a weekday as it will be less crowed than on a weekend and holidays. Less than an hour away by high-speed train, Suzhou has become a weekend hangout for Shanghai folk, and the streets can be crowded. For a first time trip to China you may not want to go to Suzhou, as there are more popular places to go, like Beijing, Shanghai, Xi&apos;an, and Guilin. Suzhou is a good second trip destination to deepen your understanding and appreciation of Chinese culture. With the 144-hour visa-free transit policy, Suzhou can be conveniently added into your itinerary when you transit through Shanghai or Nanjing. We have specially designed some tours to take advantage of your visa-free stay. 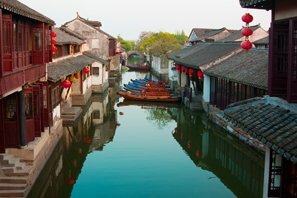 2-Day Essential Suzhou and Tongli Water Town Tour from Shanghai: The World Heritage gardens and charming water town are unmissable highlights. 5-Day Shanghai, Hangzhou, and Suzhou Bullet Train Tour: This tour offers the best of the three most important cities in the Yangtze Delta. 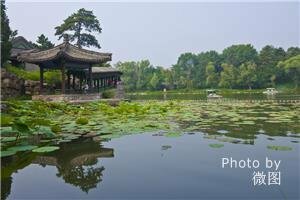 Suzhou Classic Gardens Day Trip: Explore some hidden gems in "the most beautiful and welcoming city in South China". See more of our Suzhou tours. Our tours are extremely flexible and can be tailor-made based on your requirements.